Over the past few years, indie/pop punk outfit Say Anything have transitioned from pseudo-band (always the brainchild of singer and songwriter Max Bemis, but with a more or less fixed live lineup) to one man show with a revolving door of contributors and players, and, as a result, have taken more artististic risks and experimental leaps than ever before. 2012’s Anarchy, My Dear was a deliberately, emotionally deconstructionist “punk” concept album, and 2014’s Hebrews, maybe the most oddball release in the band’s whole catalogue, eschewed guitars for strings, leaning on the Say Anything tradition of tapping into a diverse array of guest vocalists from the pop punk world. 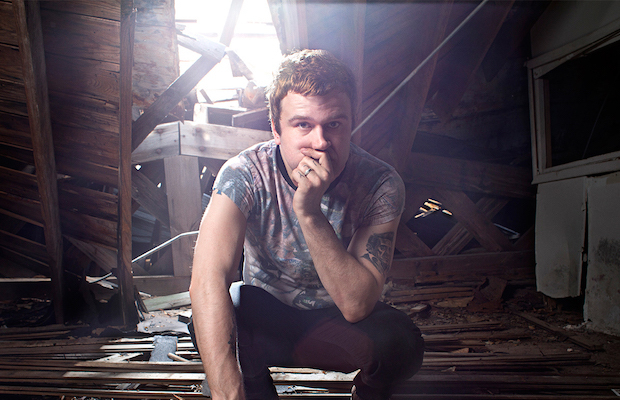 With last year’s I Don’t Think It Is, the most collaborative studio effort ever featuring a badass arsenal of backing players, Bemis explored a return the project’s sonic roots, crafting something more raw, punk, and impassioned, akin to earlier fan favorites. Say Anything have always been a champion of the emo and pop punk scene, and, while willing to grow and take risks, have never discounted anything they’ve made, or forgotten its value and resonance to so many fans. That’s why news of an anniversary tour for 2007 second (or third, depending on if you count very early effort Baseball) LP In Defense of the Genre, an ambitious double album that flexed the sophistication that emo could obtain, while hinting at the band’s broader ambitions, is not too surprising. What is surprising, though, is how this tour is structured, epically designed to pay some serious service to longtime fans. Each city stop will take place over two nights, In Defense‘s two discs split across and full sets of either Say Anything’s label debut, …Is a Real Boy, and third (/fourth) LP, Say Anything, rounding things out. This epic affair rolls through Nashville at the start of 2018, with In Defense disc 1/Say Anything slated for Jan. 27 and In Defense disc 2/…Is a Real Boy slated for Jan. 28, both at Exit/In. Though the group have been no strangers to Nashville over the past few years, we have a strong feeling fans are not going to want to miss this very special outing. Tickets go on sale Friday, Aug. 25 at 12 p.m. CDT right here (1/27) and here (1/28), and we don’t expect them to last. January 13th – Baltimore, MD – Rams Head Live! Check Out All Them Witches’ New Video For “Dirt Preachers”!